A clean and clear design for your business card helps make it easier for people to remember you and find your information. A good business card does more than show your company’s logo. It creates a first impression. Is your business organized and professional? Is information easy to find? Does your card tell someone what they need to know to remember and find you quickly and easily? A well-designed business card says a lot about a person and their company. It can create a powerful first impression, demonstrate your attention to detail, as well as convey clear thinking and organizational structure. More than just a formal gesture for exchanging contact information, a good business card also acts an effective reminder, helping people remember where and when they met you. 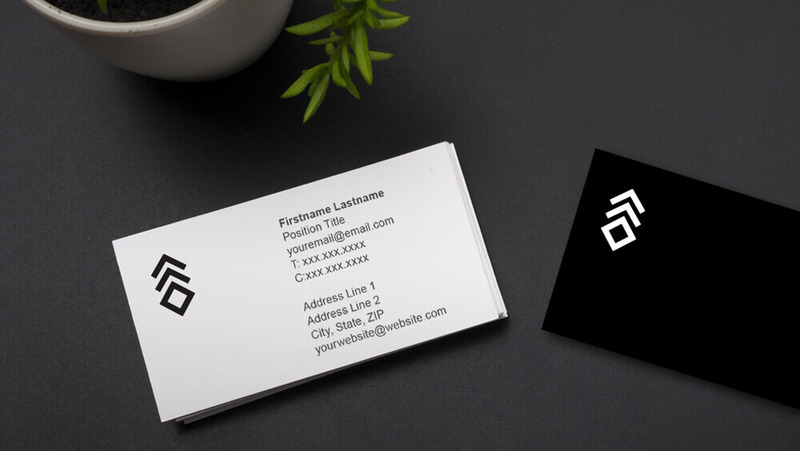 Our Business Card templates help you craft a business card that shows you and your company in the best light. Look through our templates to choose a design that captures the feel of your company. Then fill in your company and personal information. After you have completed filling out the information, print out a test sheet of cards. Look closely for errors or typos and confirm that all contact information is current. Once you’ve made your corrections, print it out and check again! It can be embarrassing to notice a typo as you hand over your business card to a new acquaintance or prospective business partner. Once you are satisfied with the result, print out a few sheets of cards on high-quality paper such as Hammermill Color Copy Digital Cover. Using high quality paper shows that you care about doing things well and makes a good impression. Trim out the cards, and you are in business!